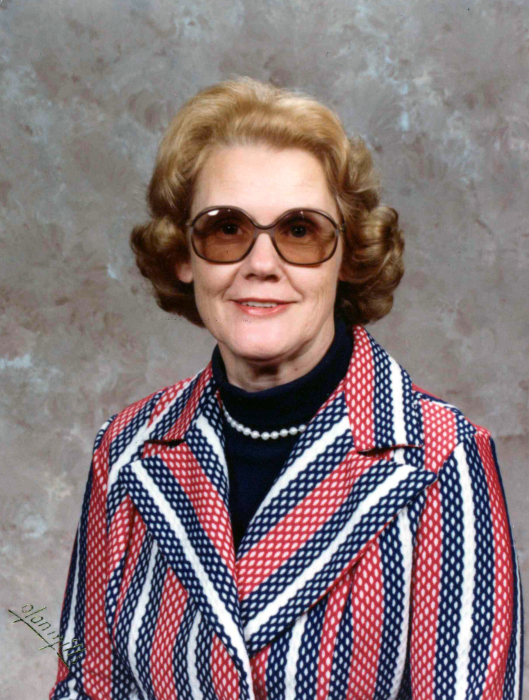 Emma B. Gibbs, age 86, of South Toe, went home to be with the Lord on Friday, February 8th, 2019 at the Yancey House. She was born in Mitchell County to the late Ira V. and Grace Hise Burleson. She was also preceded in death by a husband, James Ray Gibbs, who passed away September 19th, 2018; sisters: Joyce Louise, Martha and Faye Ledford, Nina Buchanan and Anna Crews and brothers: Lewis, Tommy and Jerry Burleson. Emma enjoyed spending time with her grandchildren and great-grandchildren. Left to cherish her memories is her sons: Jeff R. Gibbs and wife, Harriet G. Taylor Gibbs and Joel R. Gibbs and wife, Georgiana Serigny Gibbs; granddaughters: Emma Jane Gibbs Deyton and Sarah Ray Gibbs Hensley and husband, Robby Lee Hensley; grandson, Jeremy R. Gibbs; great-grandchildren: Alexis M. Gibbs, Ethan Ray McRobie, Jacob Paul Deyton, Emmitt Budge Deyton, Raylee Gail Hensley and a baby on the way; step-grandchildren: Shane P. Hendrix and April M. Hendrix Stone; sisters: Mary Upton and Hattie Buchanan and brothers: Harold and Phillip Burleson. The family will receive friends from 1 until 2 p.m. on Monday, February 11th in the Chapel of Yancey Funeral Services. Funeral Services will follow at 2 p.m. with Rev. Vernon Buchanan officiating. Burial will follow in the Carroway Cemetery. In lieu of flowers, memorial donations may be made to Hospice and Palliative Care of the Blue Ridge at 236 Hospital Drive, Spruce Pine, NC 28777.